Founded by the early pioneers of the Internet in 1992, the Internet Society is a global cause driven organization working for the Internet to be open, globally-connected, secure, and trustworthy. With our members, chapters and offices around the world, we engage in a wide spectrum of Internet issues, including policy, governance, technology and development to address the challenges facing the Internet today and to shape its tomorrow. IoT Privacy & Security is one of our key priority areas, to protect the network, users, and critical information infrastructure from cyber threats due to more insecure consumer devices connecting to the Internet every day. In line with the IoT Trust Framework developed by our Online Trust Alliance (OTA) initiative, we aim to make security a built-in feature for the rapidly growing Internet of Things, to realize its full potential to empower people, communities, and economies. The world's leading semiconductor intellectual property (IP) supplier. 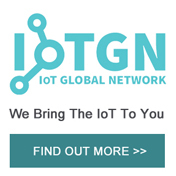 IoT Global Network is the ultimate intelligence platform for the global machine-to-machine communication value chain. 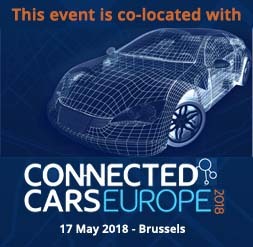 IoT Global Network serves as an invaluable source of information for IoT decision makers in all areas of industry and public services, including consumer-related, energy, financial, industrial, healthcare, security and transportation, – and anyone else who would like to learn more about how the Internet of Things will shape tomorrow’s society. Council is a thinktank, consultancy, accelarator and forecasting group. Council hosts the full range of opinions on what will be a small avalanche of disruptive innovations. They go through the full range of emotions and conceptual breakdown that comes with grasping the territory, the full logistical, business, social and philosophical implications of the Internet of Things. Council thinktank aims to grow into a positively critical counterpart to these negativities in focusing on the quality of interaction and potentialities of IOT for social, communicative and economic (personal fabrication, participatory finance, alternative currencies) connectivity between humans, humans and things and humans and their surroundings. Council highlights a personal history of locative media & hybrid spaces, by professionals of the i3 (Intelligent Information Interfaces) days, as well as the latest tools and applications, workshops on key issues, short keynotes and time for debate and discussion. The Providence Group advises companies and organizations globally on how to manage enterprise-wide cybersecurity risks and we provide insight and counsel into the complex and changing cybersecurity regulatory, reputation and threat environment.